A boy stands in front of the Reed residence where 14 year-old honor student Starkesia was shot and killed. 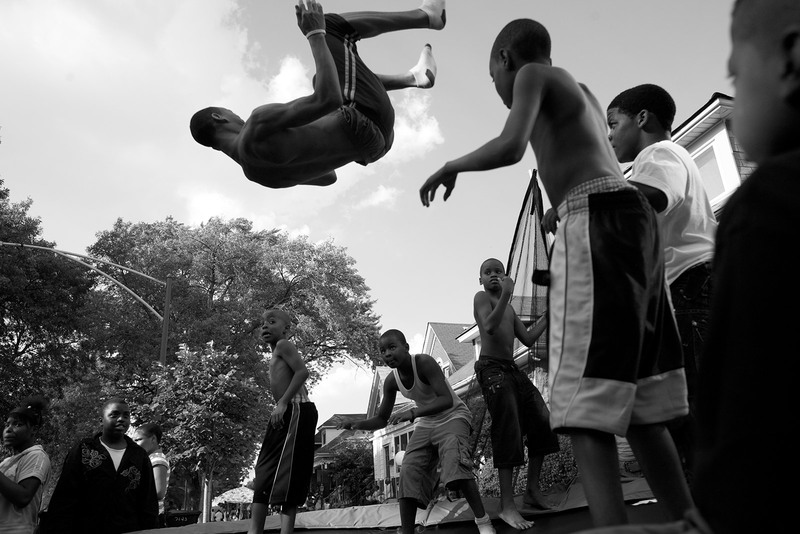 Children in Chicago’s Englewood neighborhood are more likely to suffer injuries due to violence compared to children in any other Chicago neighborhood. 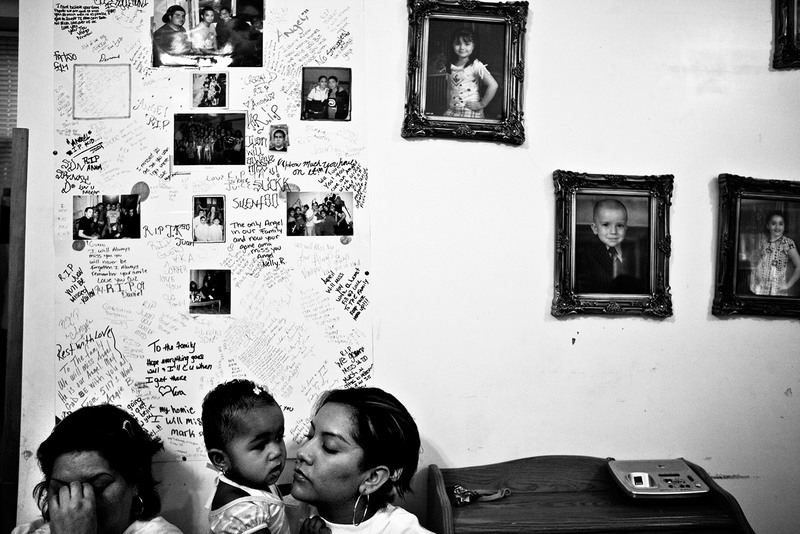 Members of the Cazares family mourn at their home after their nephew, Juan, 14, was killed. Juan played basketball at Cornell Square Park in the Back of the Yards neighborhood in Chicago. He sometimes played basketball with gang members. Family members believe hanging out with the wrong people may have led to the eighth-grader’s death. 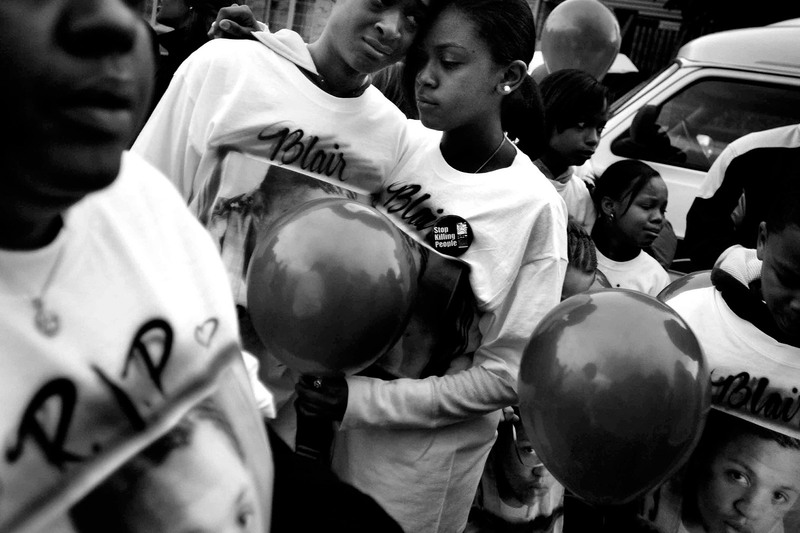 Victims of violence are often memorialized in T-shirts made by their friends and relatives. This is a photograph of a victim for use in his memorial T-shirt. Fifteen-year-old Alex Arellano was shot and burned after being hit with bats and then struck by a car that was chasing him. “A human would not do that to another human being especially a child who had no gang affiliation,” said Juan Tirado, the victim’s uncle. The South Side teen’s burned body was found after witnesses said they saw him being chased. Fakhur Uddin was found dead on August 20, 2008 at 11:30 am. Uddin was bound with duct tape and shot in the head in the back room of the East Germantown gift and sundry store he was minding for his ailing father. The murder occurred almost exactly seven years to the day Mr. Uddin came to America from Bangladesh. 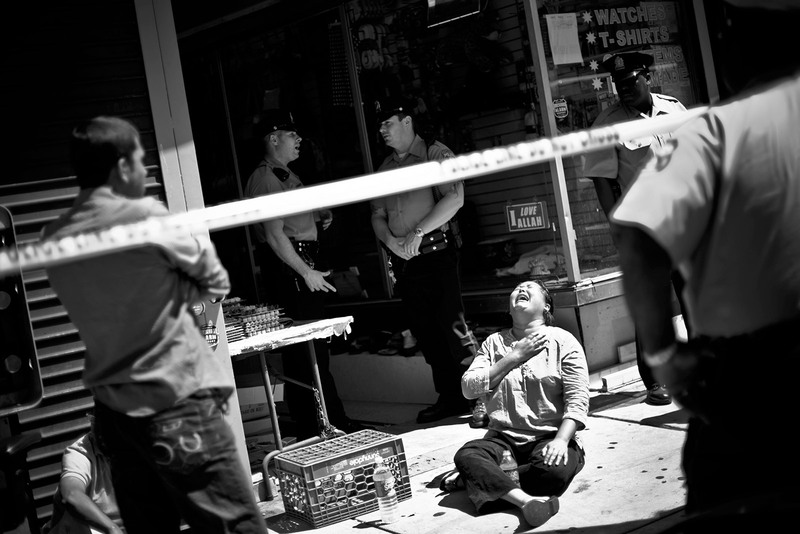 Mr. Uddin’s mother sits in front of the store crying over the death of her son as Philadelphia police work the crime scene. Members of the White family mourn at their home two days after the killing of 10-year-old Siretha White. 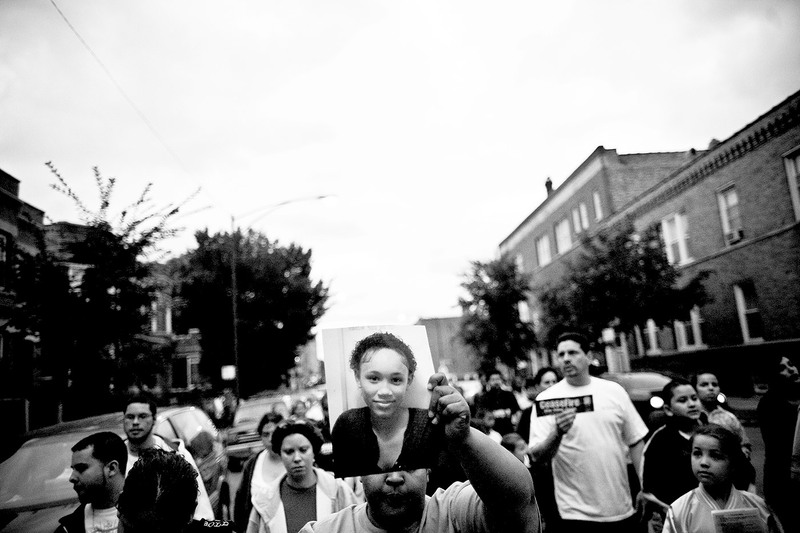 Siretha was killed by stray bullets from a conflict between rival gang members in Chicago’s Englewood neighborhood. She died two days before her 11th birthday on March 11, 2006. 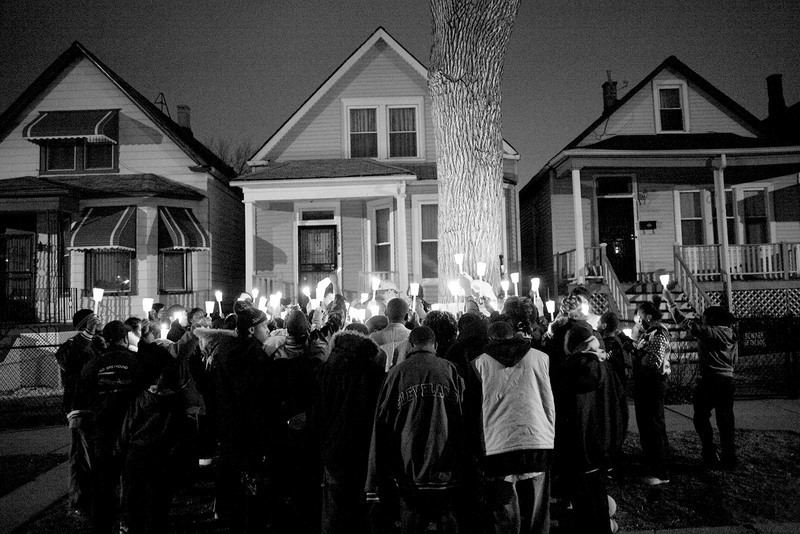 Mourners gathered for the funeral of Albert Vaughn, a Chicago public school student beaten to death. The teenager was attacked with a baseball bat following a party in the Englewood neighborhood. Vaughn was an 18-year-old senior at Julian High School. Nathaniel Tucker, 22, of Chicago, has been charged with first degree murder in Vaughn’s death. Thirty-two pine replicas of caskets, each topped with a black cross and flowers sit in the playground of Sabina Church in Englewood Chicago. The caskets, made by teenagers, represented the 32 Chicago Public Schools students who died from violence in 2009. A friend of Darius Mitchell holds flowers before placing them on a memorial for his friend. Mitchell, 14, was shot and killed at a house party after a fight broke out. Arthur Burgess, 19, of the 500 block of East 32nd Street, died at the scene after he was shot in West Englewood on a cold winter night. A war is underway in the United States today, with the nation’s youth suffering its most devastating consequences. It is an undeclared war, but it is as real and savage as any of the wars that claim the lives of soldiers in Afghanistan and Iraq. The casualties of this war come from a thousand bloody battles being waged nightly on the neighborhood streets of cities like Chicago, Philadelphia, Miami, and Los Angeles. Some victims are gang members; some are elementary school children—innocent bystanders walking down the street or intended victims. This undeclared war stems from a long history of gang, drugs, poverty, despair and gun violence. Too Young to Die, addresses the lingering wounds of conflict, which differs from declared wars in Iraq, Afghanistan and elsewhere only in the conspicuous absence of formal recognition by the state and society. Too Young to Die seeks to redress this lack of recognition by illustrating the consequences of urban, often internecine, war. One of the most important battlegrounds of this war occurs on school grounds. 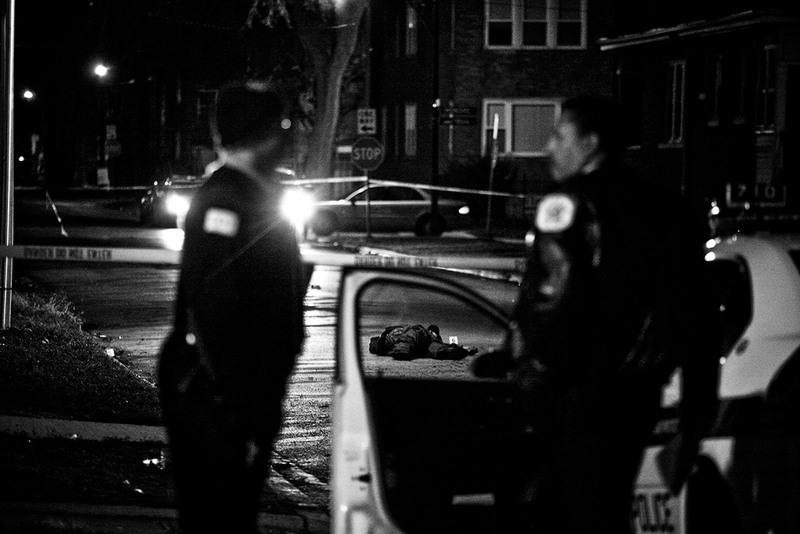 Going to school in the Chicago Public School system, I witnessed violence first hand and saw its impact on my community. I recall the discomfort of realizing how many students did not come back to school after summer break because they had been killed, wounded, or incarcerated as a result of gang activity. Today, both the perpetrators and the victims of these crimes have gotten younger. Tragically, on average, sixteen youth between the ages of 10 and 24 are killed in the United States every day as a result of gun violence (CDC, 2009). This is more than the number of American servicemen lost each year in the conflicts in Iraq and Afghanistan. 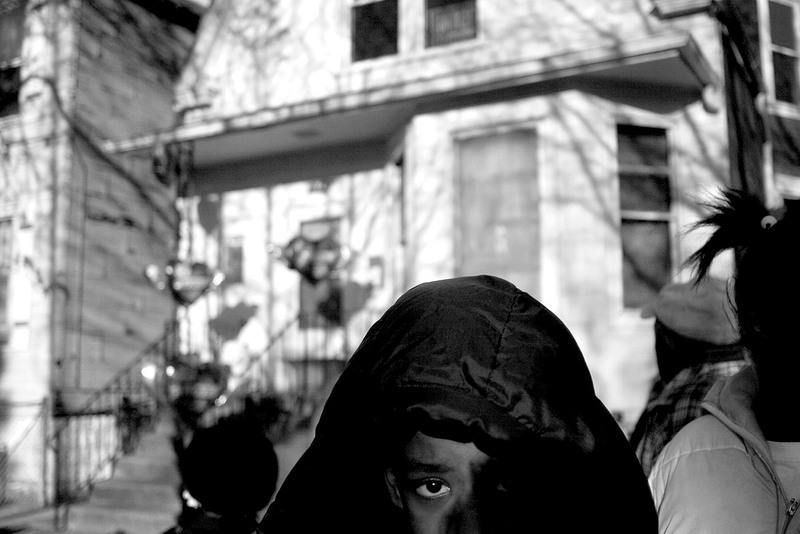 In Chicago in 2010, nearly 700 children were struck by gunfire, an average of almost two a day. 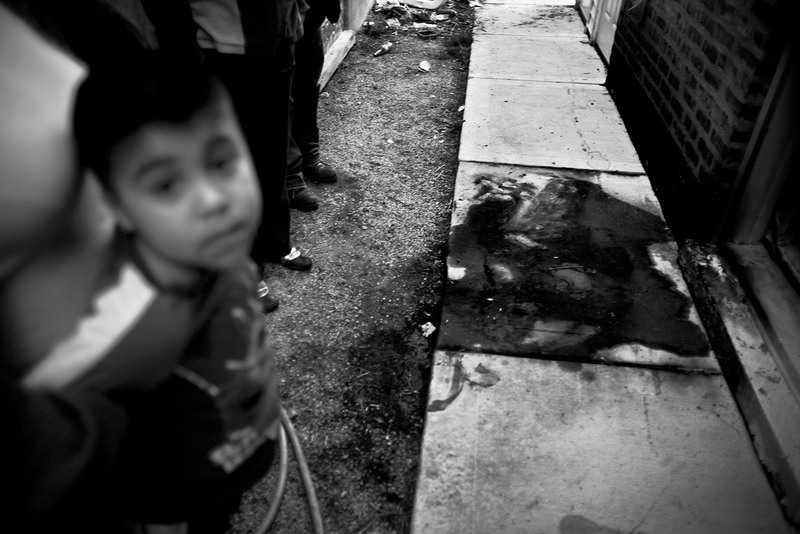 Sixty-six of these children died (NPR, 2010). In addition to the tragedy of losing so many children to violent deaths, children and families who survive are left with the psychological burden witnessing violence. A recent study of a sample of Chicago high school and elementary students found that nearly 40 percent had witnessed a shooting, more than 33 percent had seen a stabbing, and 25 percent had seen a murder (Chicago’s Community Health Council). Tragically, these numbers have only grown in the intervening years. Studies strongly suggest that when young people live in neighborhoods plagued by violence, even if they are not primary victims of violence, they are considerably more likely to suffer from post-traumatic stress, depression, and anxiety, and are more prone to behavioral problems and academic underachievement. 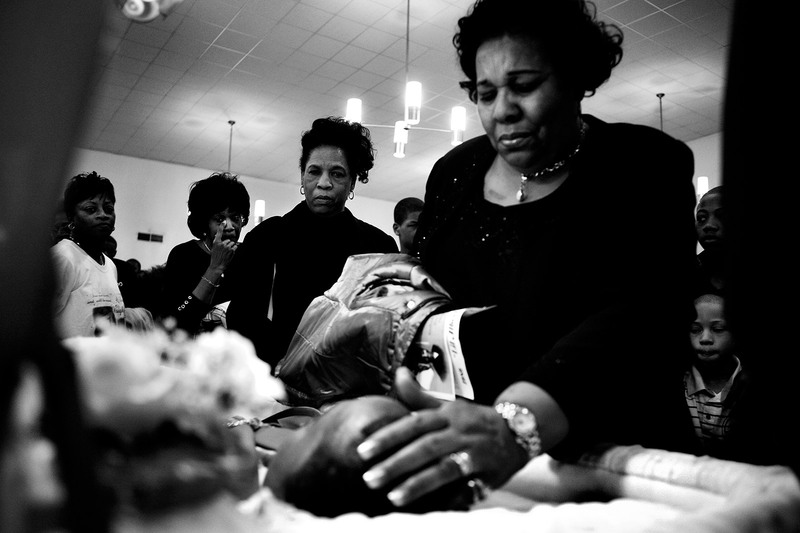 Too Young to Die is a long-term documentary photography project, now in its fifth year, which seeks to enlighten the public about the effects of youth violence on young victims, their families, and society as a whole. It is an effort to shake the country's conscience in a way that most mainstream media—hyper commercialized and celebrity obsessed—no longer do. My interest is to get beyond the headlines, beyond the fear and sensationalism, and create understanding of the true costs that are borne by the victims of this violence, and, in the final analysis, by all of us. The purpose of my project is to personalize the stories of youth, families, and individuals who live in the aftermath of violence. Although many survivors live in fear, their stories are also about hope, love and resilience. Carlos Javier Ortiz was born in San Juan, Puerto Rico and raised in Chicago, Illinois. As a teenager, his love of photography led him to work at a traveling carnival to save money for photography equipment and college tuition. He studied photojournalism at Columbia College Chicago and became a staff photographer for Chicago In The Year 2000 (CITY 2000), a yearlong project documenting the city and its inhabitants. Since that time, Carlos Javier has focused on documenting society's most vulnerable communities across the United States, Mexico, Guatemala, Israel and West Bank. 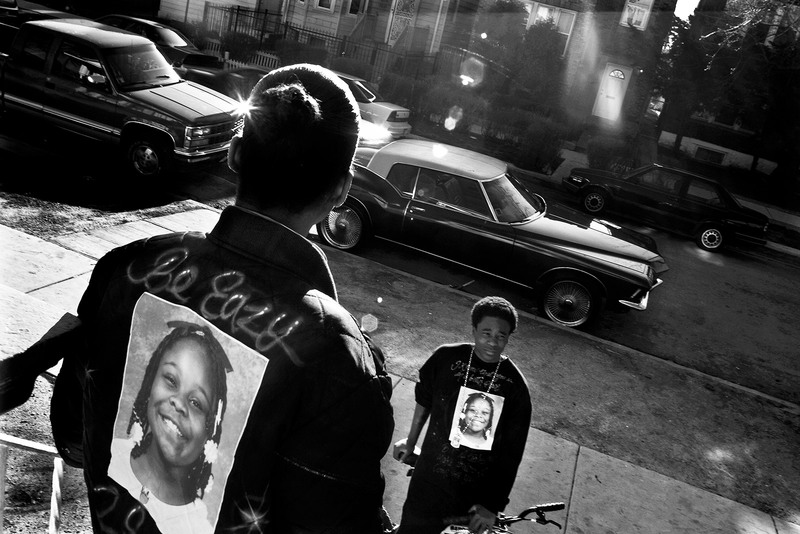 As a result of his commitment to addressing social problems, Carlos Javier won the Robert F. Kennedy Center for Justice and Human Rights Photography(2009) award for Too Young To Die, his multiyear, comprehensive examination of youth violence in the United States and Central America. 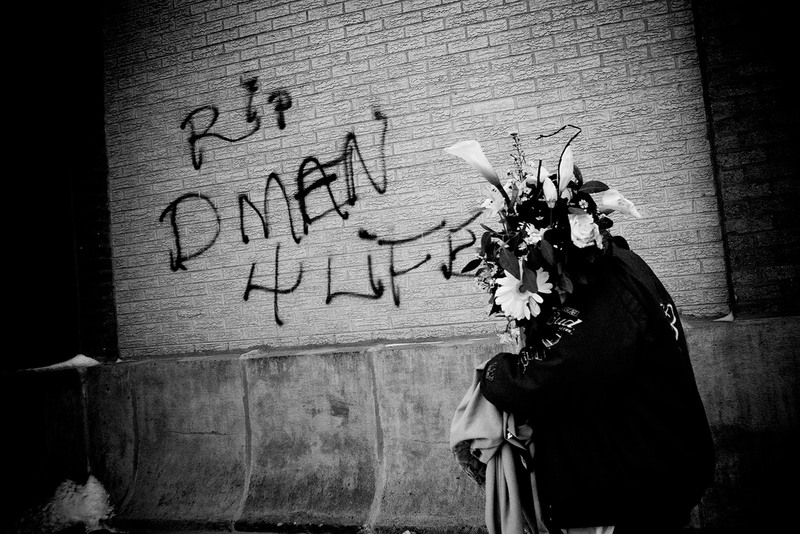 He was also a finalist for the W. Eugene Smith Grant in Humanistic Photography (2008). In 2010 Carlos accepted an invitation to become a contributing photographer for “Facing Change: Documenting America,” a non-profit collective of some of the nation’s best photographers and writers covering under-reported aspects of America’s most urgent issues. He has taught graduate photojournalism at Northwestern University's Medill School of Journalism and has been a guest lecturer at numerous other colleges and universities. In 2011, Carlos Javier received the Open Society Institute Audience Engagement Grant for his continuing work on Too Young To Die. • What story—or whose story—do these photographs tell? What would you like to ask the people pictured, and what might they say? What do you think the photographer wants us to do with these images? How might he want us to react? 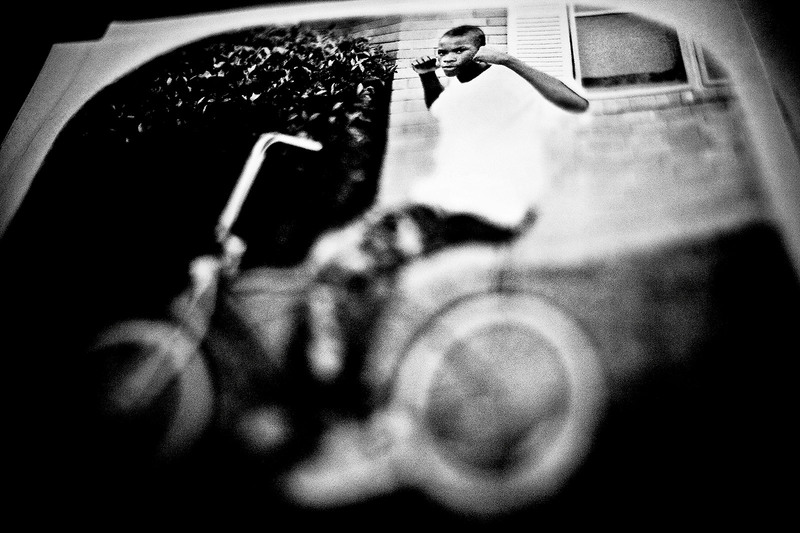 • How do these images confront or counter media representations and stereotypes of urban youth? • How can these images impact the way we talk about violence in our cities and among urban youth today? 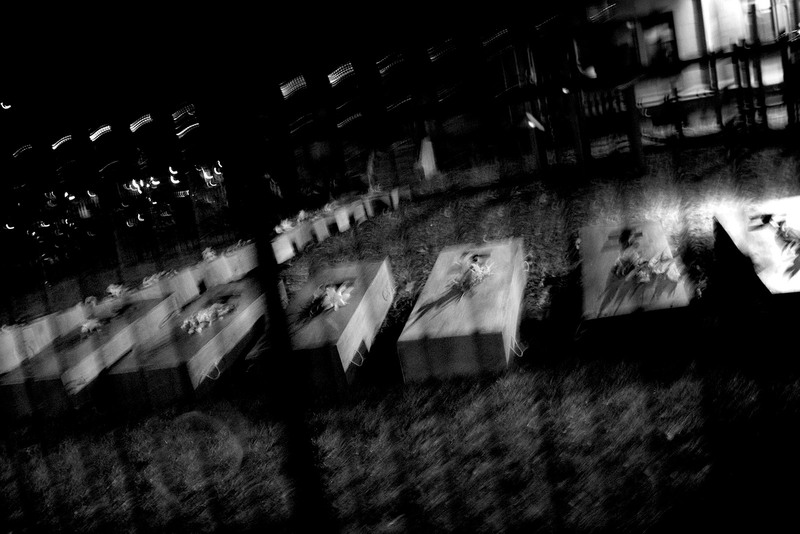 Thirty-two pine replicas of caskets, each topped with a black cross and flowers, sit in the playground of Sabina Church in Chicago’s Englewood neighborhood. The caskets, made by teenagers, represent the 32 Chicago Public Schools students who died from violence in 2008. • These caskets are not part of a funeral. Instead, they were displayed to send a message. What message do you think the wooden caskets were meant to send? • What choices did the photographer make in shooting this image? How do those choices impact what you see as well as the message he hopes to send? • What projects and people make life better in your community? In the nation? Around the world? How have you learned about these people and projects? What role does the press play in telling these stories? How else do we learn about them? How important is it that we know about the good things happening in our communities as well as the bad? • What is happening in this photograph? What do you imagine happened before the photographer captured this image? What will happen afterward? 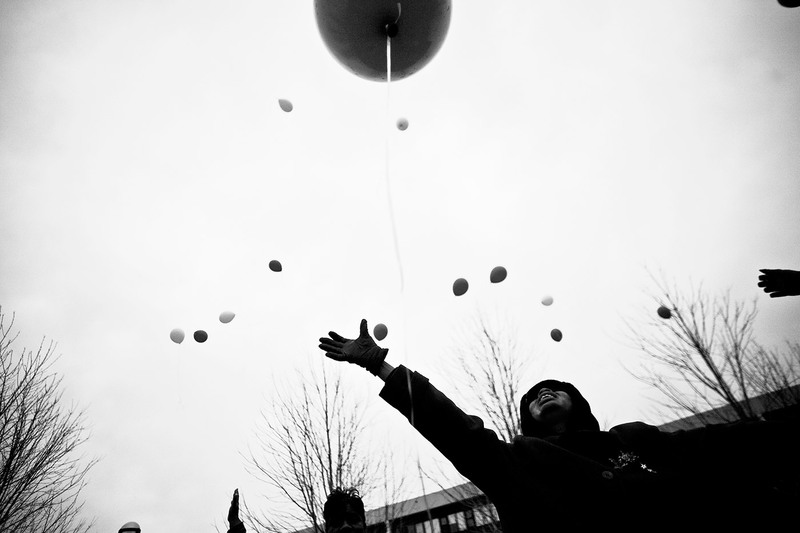 How do people carry on with their lives after experiencing violence or tragedy? Visit Carlos Javier Ortiz' website for more information on his photography.